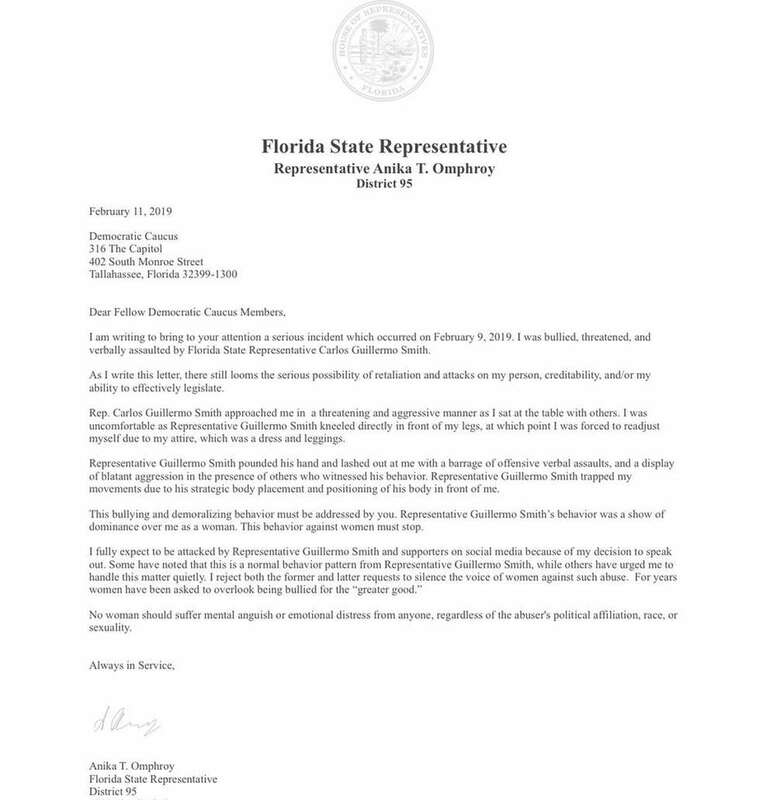 Rep. Anika Omphroy says she was “bullied, threatened and verbally assaulted” by Rep. Carlos Guillermo Smith. 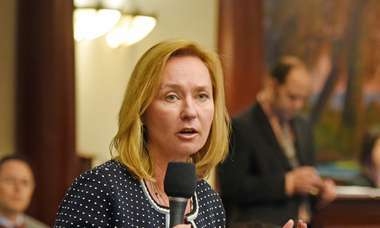 A Broward state representative said Monday she was “bullied, threatened and verbally assaulted” by a fellow lawmaker during a Democratic Party event in Orlando over the weekend. 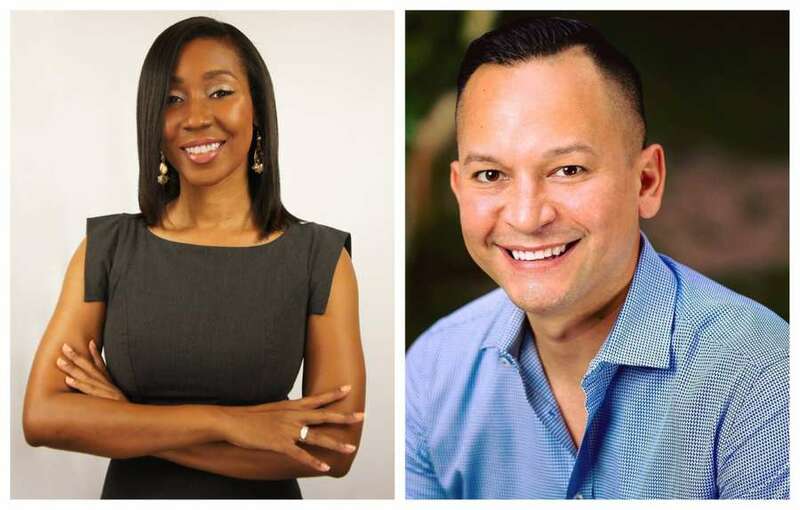 In open letters addressed to House Speaker José Oliva, R-Miami Lakes, and House Democratic Caucus members, Rep. Anika Omphroy, D-Lauderdale Lakes, accused fellow Democrat Rep. Carlos Guillermo Smith of Orlando of bullying her in the presence of several others at the event Saturday and said she still feared retaliation from the progressive lawmaker and his social media followers. “There still looms the serious possibility of retaliation and attacks on my person, creditability, and/or my ability to effectively legislate,” she said. 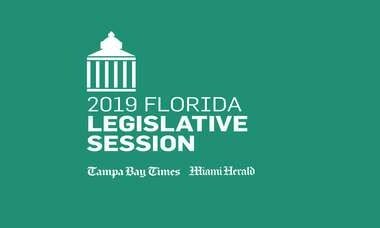 A letter sent to Democratic Caucus members on Monday. “We take this seriously,” she said. Outside of the letters, Omphroy has not filed an official complaint, she added.